Robertson shared that the store has been doing well so far, and that word seems to be getting out. Because Booth 121 features the work of many different artists, the inventory is always changing. Robertson is, however, still looking for more artists to share their projects in her store. She explained that she works with artists on a commission-based split and tries to keep consignment rates reasonable. For Robertson, opening her own business has required hard work and long hours, but she said it’s all worth it. “It’s what you do when your job is your passion” she said. Leah Robertson, who has enjoyed creating upcycled treasures for several years, opened a retail store called Booth 121 in November. The store, which is located at 6203 Monona Drive, features Robertson’s work, as well as projects created by a number of other artists. via Booth 121 features variety of upcycled projects – The Herald-Independent: The Herald-Independent. 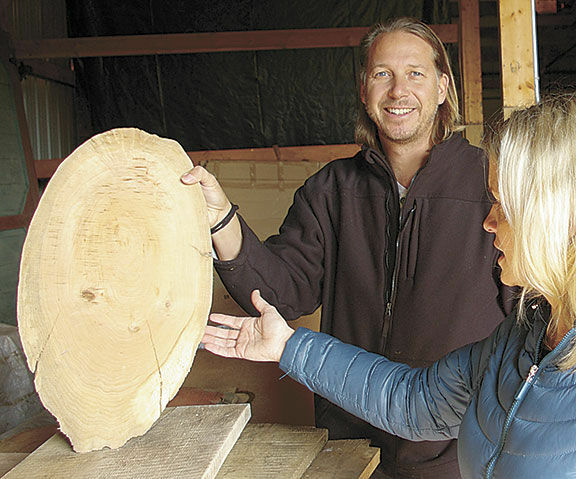 Ben Johnson and Kelli Carlson, Scandia, describe the potential of a discarded wood scrap. Johnson founded Wood that Could, which turns reclaimed wood and metal into furniture and decorative pieces. “A local guy was selling a barn, and we decided to buy it, tear it down, and see what we could do with the reclaimed wood,” says Johnson. “Now that’s gotten scaled up and we have wood contracts out west. We ship a lot of our wood out to the Reno-Tahoe area. 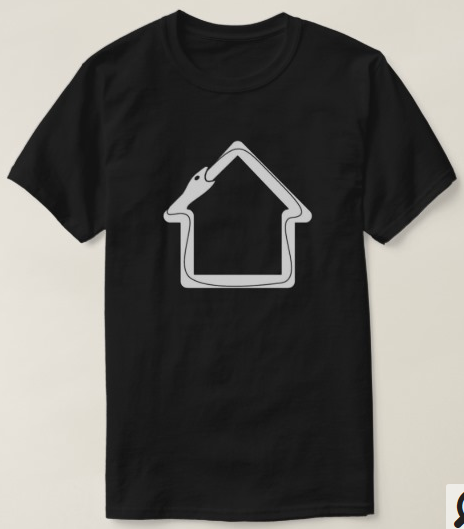 They use it for new, high-end home construction. 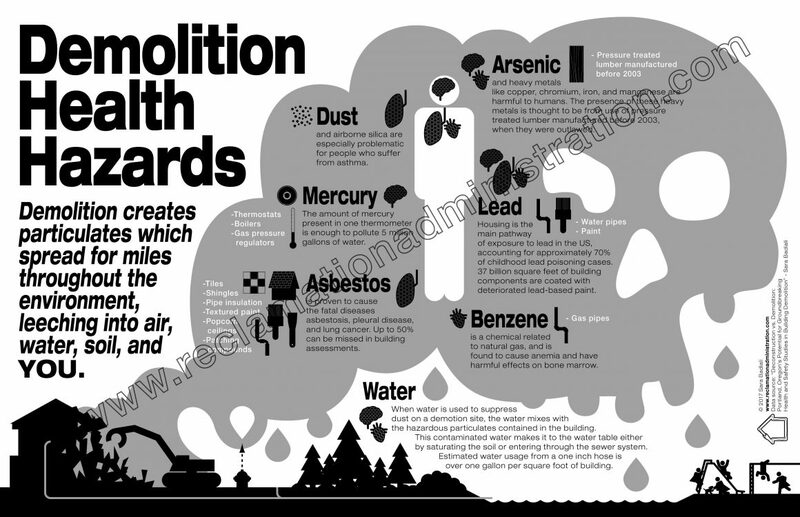 via Wood, working – Your local online newspaper: News. It’s not necessary to be handy with tools to make use of salvaged lumber. 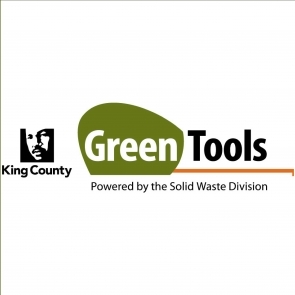 Several companies in and around the District will create custom furniture and other household items for homeowners who provide the wood. via Remodeling boom in D.C. area brings to light rich veins of old-growth lumber – The Washington Post. via Upcycled stools by designer Curro Claret and Arrels Fundació for yök Casa + Cultura : TreeHugger. This reclaimed wooden boat chair masterpiece came from Scott Feen of The Atlantic Workshop. 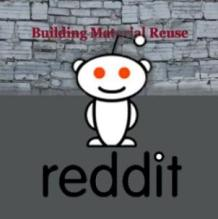 We found it through Unconsumption – one of the most inspiring sites on reuse design on the web. Within his workshop you will find remnants of boats, buildings, factories, barns and mechanical equipment most would toss into a scrap yard. But Scottâ philosophy is simple: find old items and give them new life. The Chatham location of his workshop lends itself especially well to the uncovering of pieces of old boats and yachts, which Scott uses to create furniture with a nautical theme. via Notes from the Field: The Atlantic Workshop | New England Home Magazine. 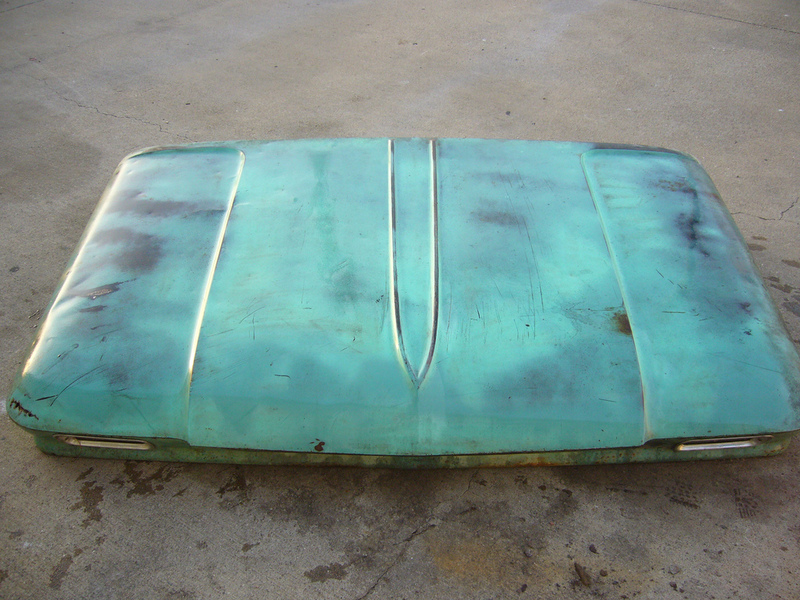 Not that I would do this to a ’57 Chevy – but wow BilletSurfer nice job! 57 Chevy Classic Car Couch. “We’ve probably made about 50 tables in the last nine months,” said Thorpe-Bauer. Bauer Barrel tables are made of a reclaimed wine barrel, which is cut in half and mounted on a base. A tabletop is then placed on the open side of the barrel to complete the table. 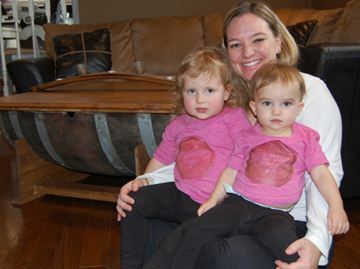 via Burlington woman vying for Mompreneur of the Year honour. WHISTLER SHOW Burns Jennings, right, made a key-card return box, above, which led to an exhibition of his furniture. As well as found wood or wood that “drops by,” Jennings also follows a hydro pole protection program on Bowen Island. Any trees that come down because they are in danger of falling onto a hydro line are converted into furniture via his mill. He uses large pieces of driftwood from the beach, too. The result is, to say the least, sculptural. via Recycling old wood into new heirlooms | Arts | Pique Newsmagazine | Whistler, CANADA. This is just a fantastic tutorial, and the pictures are also wonderful. 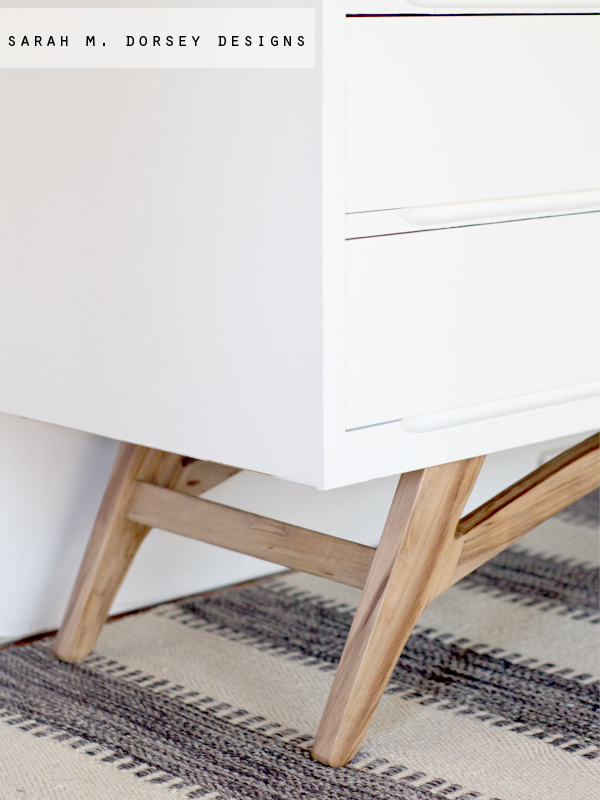 Go see the entire article on sarah m. dorsey designs. I guess we were the only ones who saw the potential because we got it for $8!! 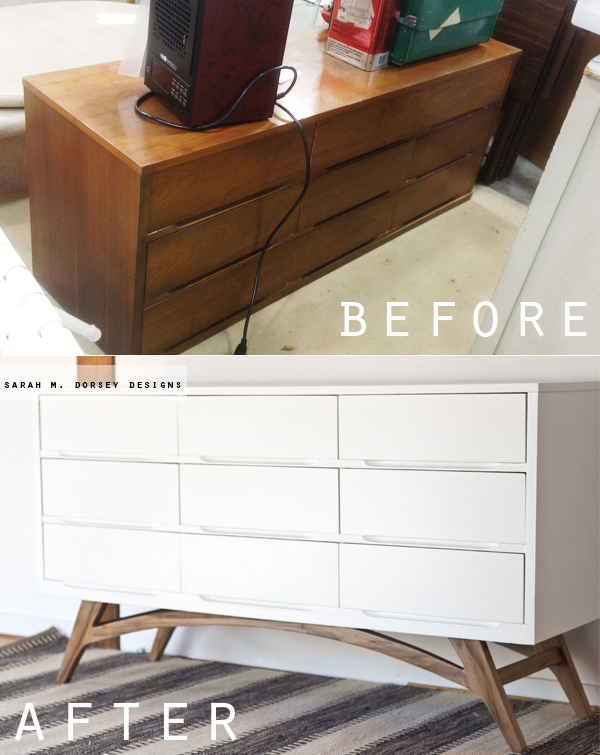 via sarah m. dorsey designs: Adding Legs to a Mid Century Modern Dresser | How To. This trash-taking approach naturally requires a degree of planning and preparedness but also a sense of the impromptu – much like other forms of ad hoc guerrilla street art. 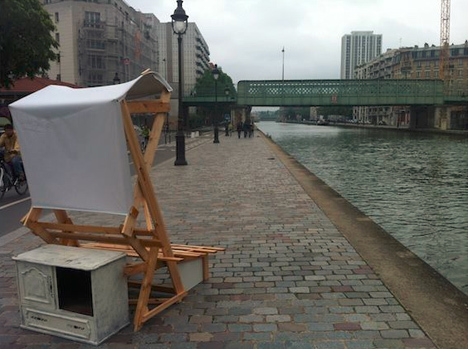 via Guerrilla Upcycling: Public Furniture Made of Parisian Trash | Urbanist. Don’t miss the full article and video on Dornob. The duo behind Studio Swine made an improvised mobile foundry to smelt the aluminum from the cans. They then pressed locally-found objects into sand found at a nearby construction site to make molds. After pouring the liquid aluminum into the molds, the team had created interestingly-shaped stool seats. Each stool requires around 60 cans to produce. This may sound like a lot, but a catadore can collect thousands of cans in one workday. 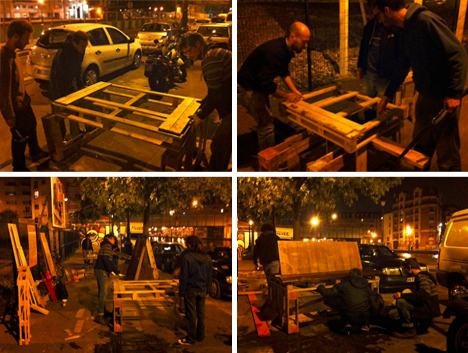 via Mobile Foundry Gives Recyclers a Creative Income Stream | Designs & Ideas on Dornob. Holey Smokes – these guys! “We are very concerned about this because a lot of people in the area rely on us. What we offer is top quality furniture at a good price and last year we provided more than 100 families with furniture – many had been homeless. We’ve also helped people with finding work in the area. via Plans to save upcycle store (From Swindon Advertiser). The translation from Italian to English is a bit rough, but you get the idea. The architectural project is designed according to Functional the original spatial characteristics and it is supplied with furniture Entirely producted with waste materials. The kitchen is the soul of the project: the guests can have access to it through a quick passage at the entrance and though a loophole in the main room Which Reveals the preparation of foods. Our cuisine is oriented toward ethical values, attentive to the quality of food, the respect for the environment and the fairness of the production processes. Whose The convicts of the penitentiary not have been Able to benefit from the Art.21 Could participate on to the construction process. After this important experience, the restaurant will continue with diligence to be devoted to the reinstatement of disadvantaged groups. “I’ve always designed and built what i would like to have for myself”, explains Joel. “When i give something a thump-test, i want it to be rock solid. 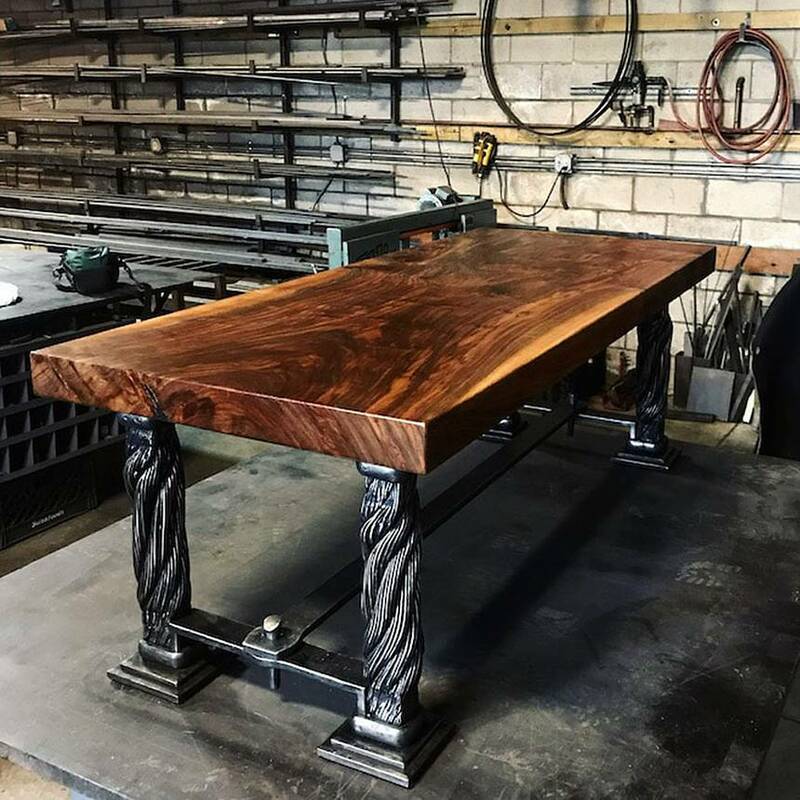 I most certainly don’t want anything faux.” This design criteria goes into every piece that he creates at The Weld House. 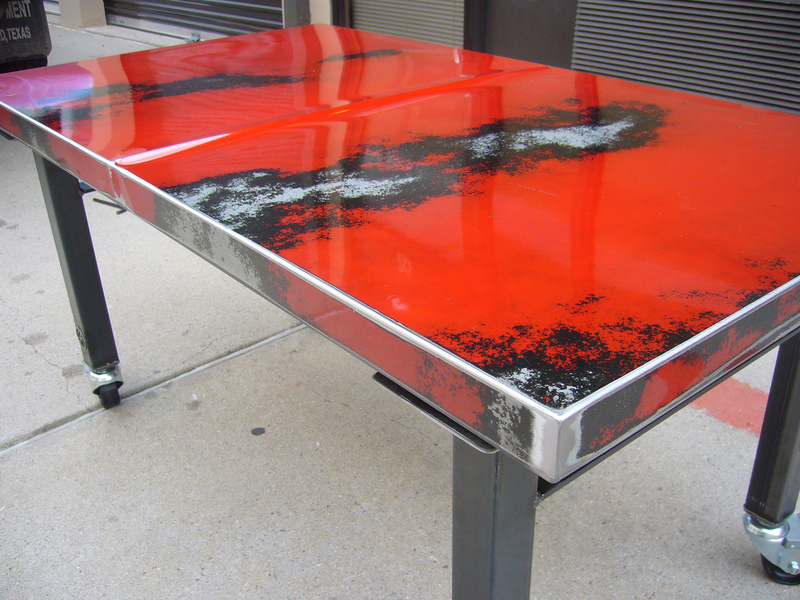 via The Weld House – MODERN INDUSTRIAL STEEL FURNITURE.